Do you want to experience one of the most exciting and fast-changing periods of all time, discover new technologies, continents, societies and build a new world in your image? If your answer is yes, then you come to the right place. 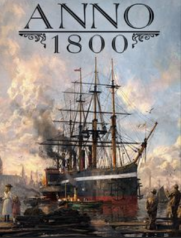 Anno 1800 is such a city building real-time strategy video game, which is the next title of the Anno de Ubisoft franchise and it will place us in the middle of the 19th century, at the time of the Industrial Revolution, which we must take advantage of to lead the world. In gameplay, players will shape the world in which we move. If you are attracted by this gameplay and want to experience this adventure, you are at the right place now. You can buy cheap Anno 1800 CD Key via Mmocs.com with safe and fast delivery. 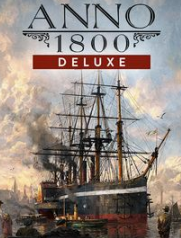 Save time and money and compare prices of the Anno 1800 Steam CD Key. In Anno 1800 you can activate Steam at full speed and download immediately. All offers are regularly tested by our team of reliability and safety! Whether you are a fan of the Anno 1800, it offers you the best city-building experience. Please do not miss such an amazing city-building gameplay.